ALBANY, GA (WALB) - You see the commercials all the time about DNA testing. The popularity of these kits have grown as millions of Americans seek answers to the questions of where their ancestors came from. A sample of saliva can link your DNA to regions around the globe and potential relatives. For some, it's an endpoint. For others, it's just the beginning of the genealogical quest. "Usually I encourage people to wait until they've hit a brick wall and the paper trail has run dry to to do this test," said Laura Elliot with the Dougherty County Library. The Dougherty County Library contains hundreds of volumes of genealogy research from across the country including ship records from ports. It's a free service to people trying to trace their roots, but that can sometimes be difficult. "People traveled or lived in different places back then. So they may have to travel to get that research," said Elliot. For those with deep seated Georgia roots, early settlers to the state came from Britain, Scotland, Germany and descended on the coastal region near Savannah. But the fertile soil led many to Southwest Georgia where by the 1800's towns grew around agriculture. "We had ports like Savannah where African-Americans came in. You have to think your history overall is who settled it. It started off as a penal colony. We had Native Americans here," said Elliot. But for those whose ancestors immigrated to America in the 1700 and 1800's - finding their records takes a lot of digging. "Many people look at church records because birth and death records didn't start officially in Georgia until 1919," said Elliot. For African Americans tracking down there ancestors who were brought to America as slaves can be even more challenging. "The major brick wall is getting past 1870 because of slavery. Because slaves were viewed as property there were few records kept on them. So their form of research is a little bit different as far as looking at plantation records instead of birth or death certificates," said Elliot. If you choose the paper trail route, be prepared to be patient. Last names change or get lost in translation. And many times ship records are the only documents that indicate where an ancestor immigrated from. But if you're up for a simple test, you can learn a lot about who you are. Some of the companies that offer DNA test kits include AncestryDNA, 23andMe, MyHeritageDNA, and FamilyTreeDNA. There are other options to find your ancestors. 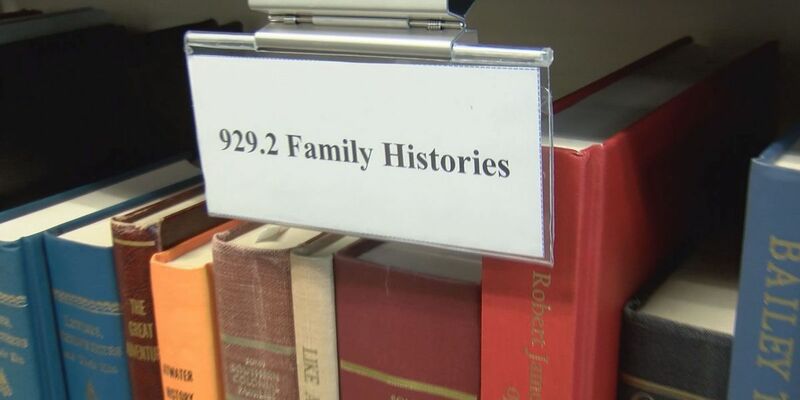 The Family History Center at the Church of Latter Day Saints on Westgate Drive in Albany also offers resources.